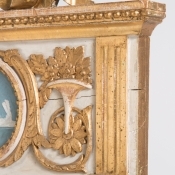 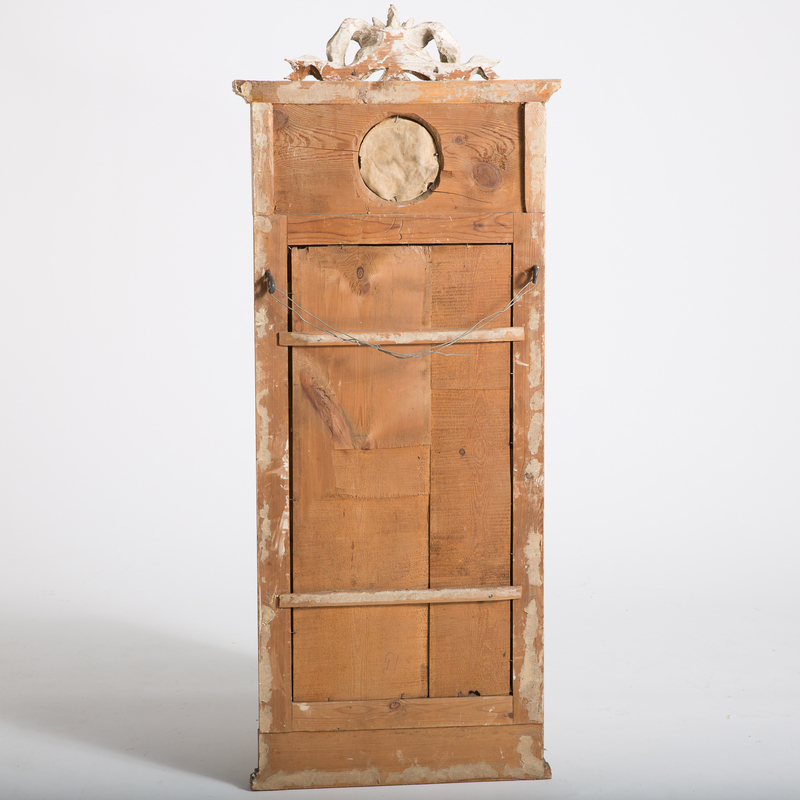 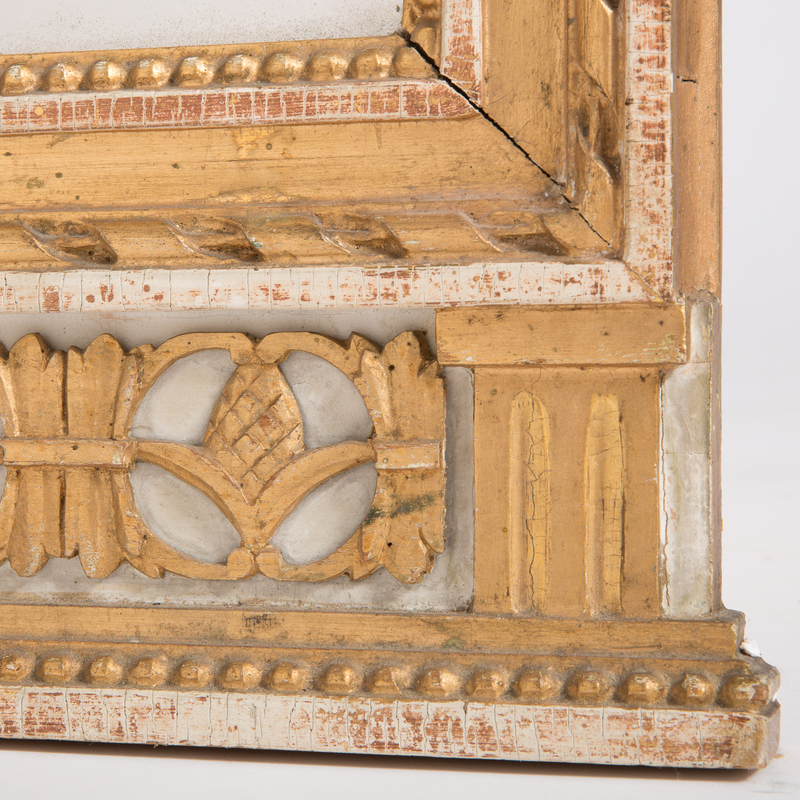 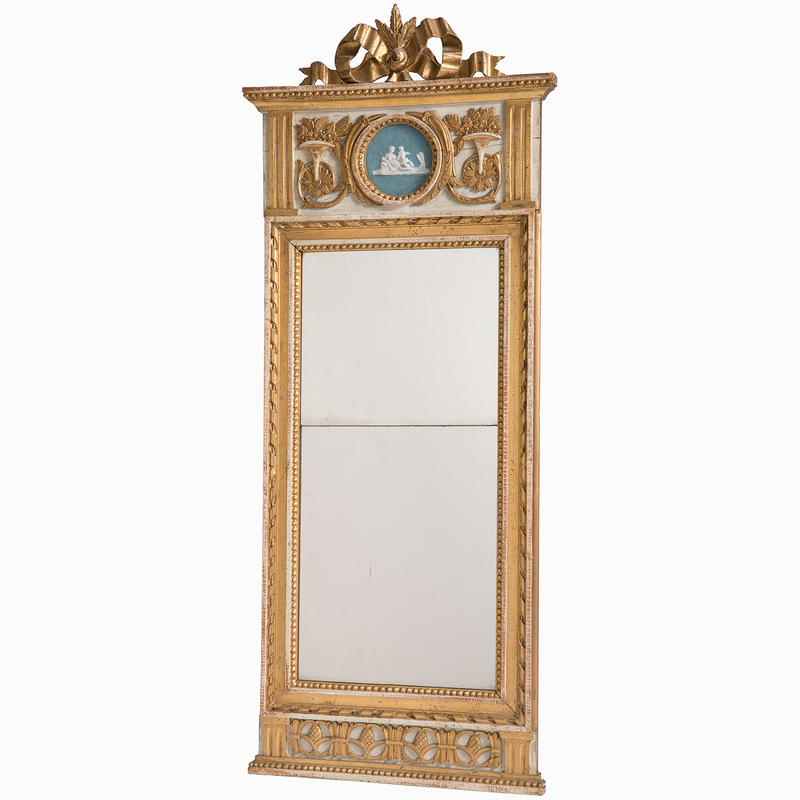 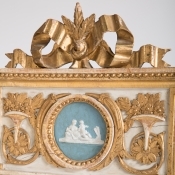 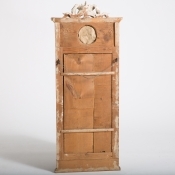 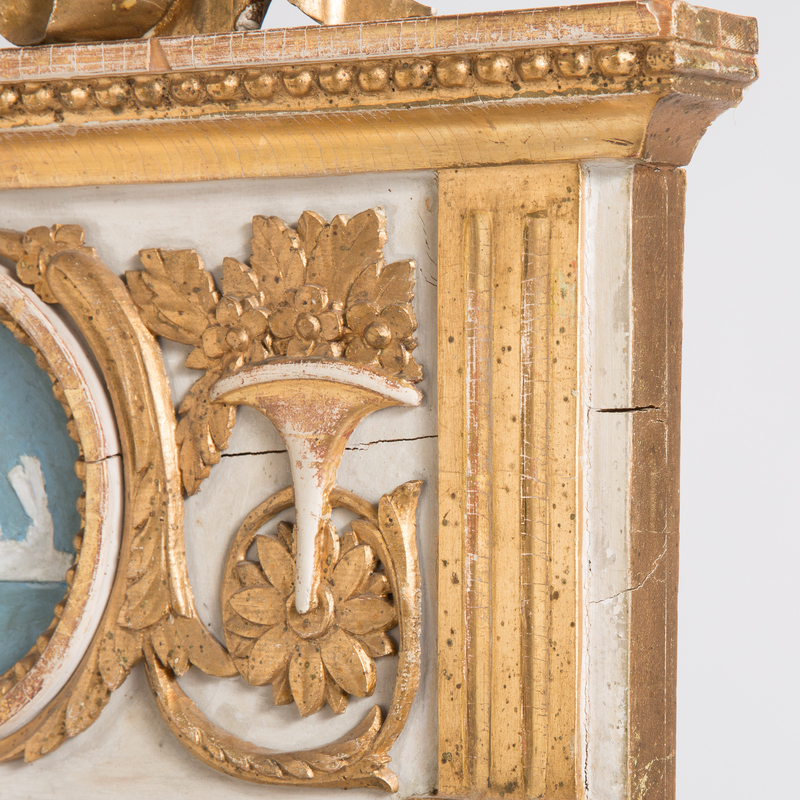 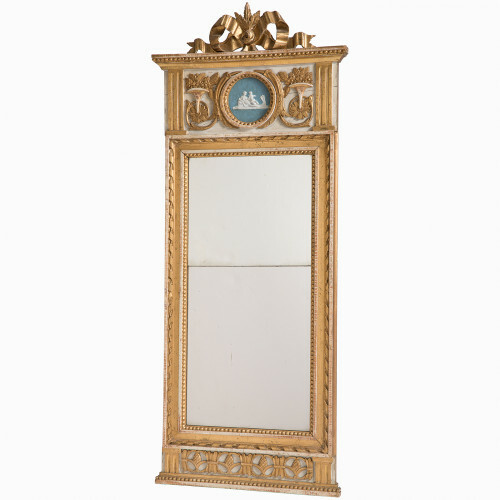 This elegant mirror from the Gustavian period has the old divided glass and gilt ornamentation of flowers in a trumpet vase on a white ground topped with a gilt bow. 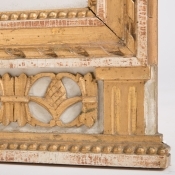 The bottom panel shows a row of carved pineapples. 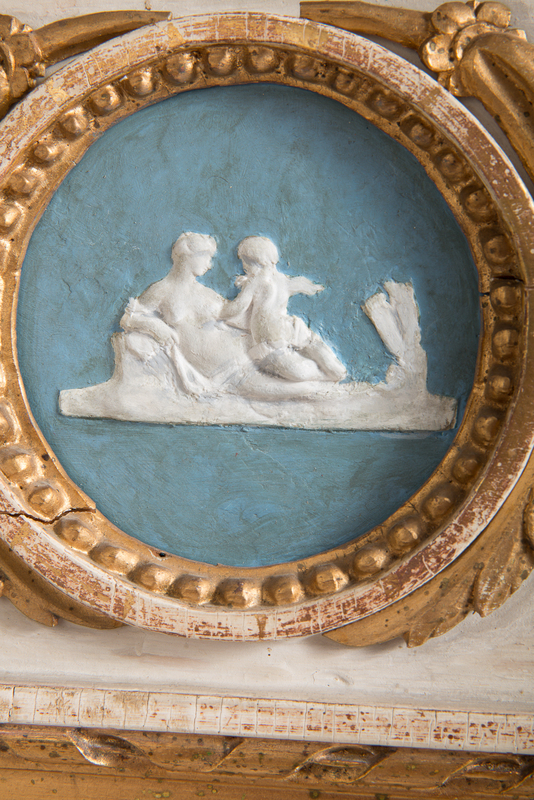 The center medallion on a blue background is a carved image of a mother and child. 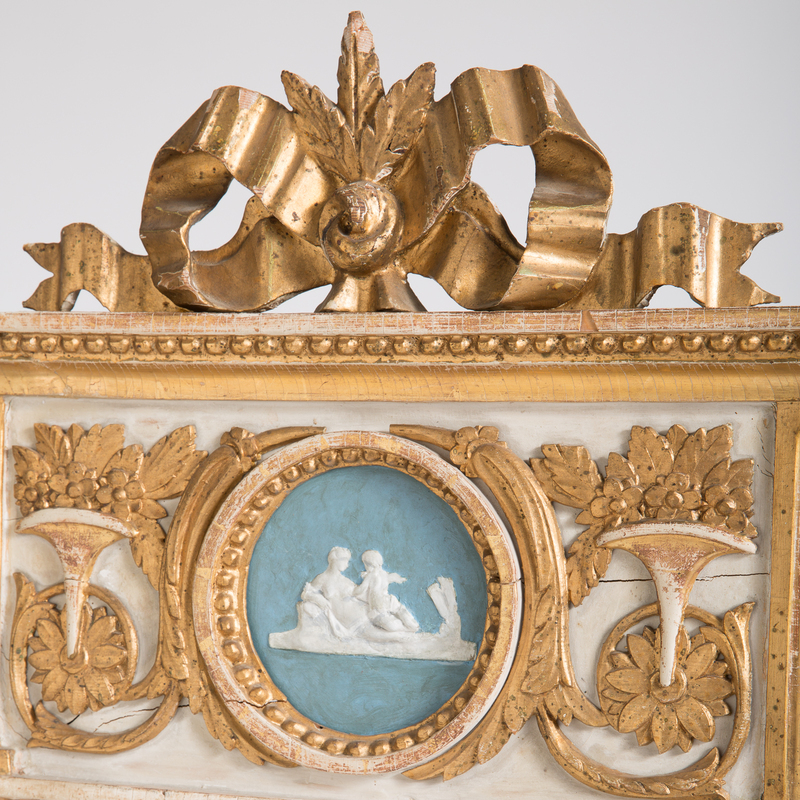 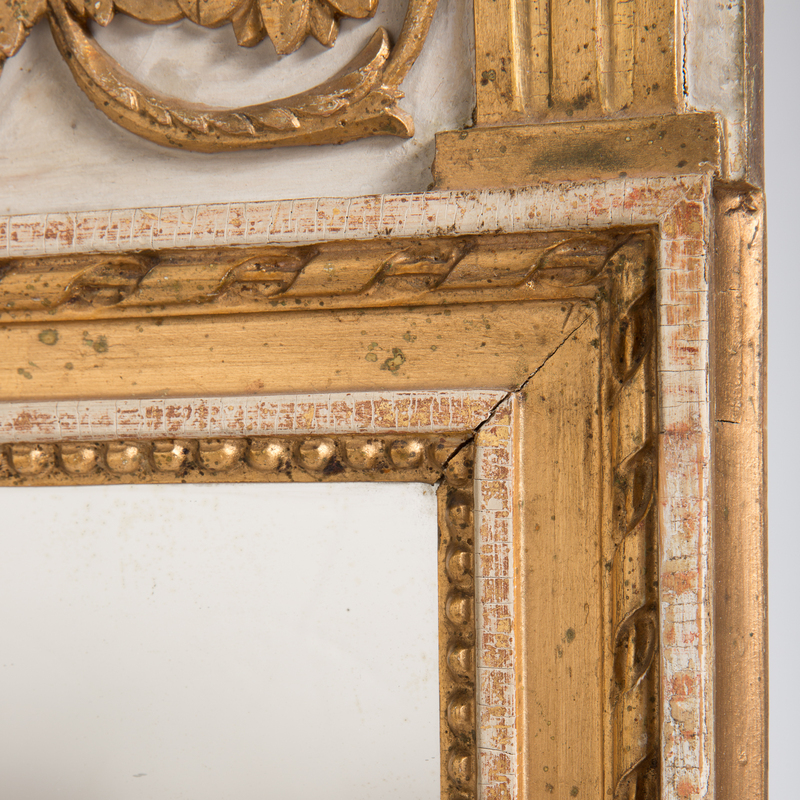 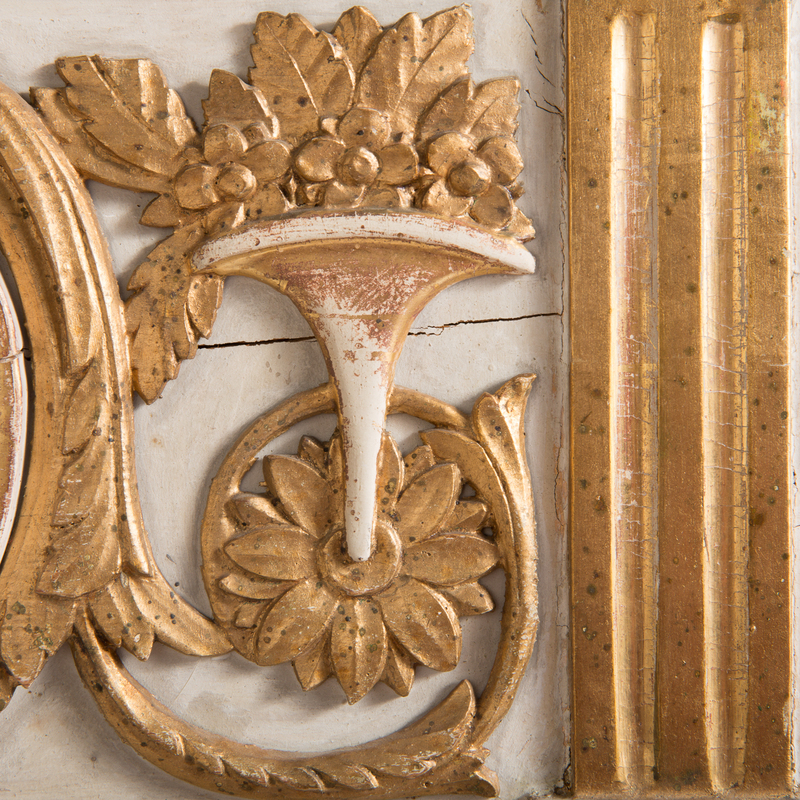 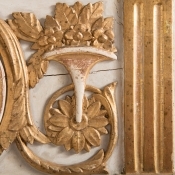 The mirror is in good condition with much of the gilt remaining. 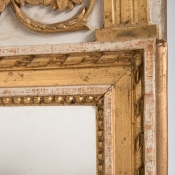 Delicate gilt beading surrounds the old glass.